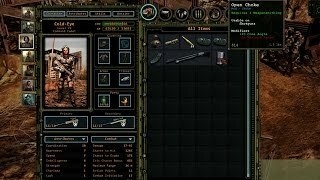 Wasteland 2, often called “A better wasteland than Fallout 3″ or “The Fallout 3 we always deserved to have and never got” is a post-apocalyptic role-playing video game developed by inXile Entertainment and published Microsoft Windows, OS X, Linux, PlayStation 4, and Xbox One. 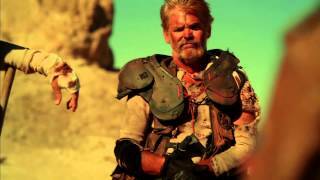 It is the first official sequel to the 1988 video game Wasteland. The game was successfully crowd funded through Kickstarter, part of a trend of high-profile developers launching projects on the site. After the postponement of the original release date from October 2013, it was released on September 19, 2014. An enhanced version of the game, named Wasteland 2: Director’s Cut, was released on October 13, 2015. Wasteland 2 features a semi-overhead view with a rotatable camera. It is a turn-based and party-based role-playing game with tactical combat. The player’s party has room for seven characters, including the four player-designed characters and up to three non-player characters (NPCs). The player characters are highly customizable and the player’s choice of statistics, skills, and appearance gives them an individualized personality. The non-player characters in the party each have their own personality, motivations, opinions, and agendas. The game is set in an alternate history timeline, in which a nuclear war between the United States and Soviet Union took place in 1998 in relation to an impact event involving a cluster of meteors that sparked a global nuclear war. On the day of the cataclysm, a company of U.S. Army Engineers were in the desolate southwestern desert constructing bridges in an area with a number of small survivalist communities and a newly constructed federal death row prison with light industrial facilities. The soldiers sought shelter in the prison, expelled the inmates, and invited nearby survivalists to join them shortly thereafter. Years later, together they formed “the Desert Rangers, in the great tradition of the Texas and Arizona Rangers”, to help other survivors in the desert and beyond it. The game begins in 2102, fifteen years after the events of the original Wasteland, with the Rangers now occupying the former Guardian Citadel, which had formerly housed deranged technology-worshipping monks (the Guardians), but is now fully under Ranger control after the monks had been wiped-out by the Rangers. The experienced ranger Ace is found dead by locals with signs of violence on his body. This greatly troubles General Vargas, the leader of the Desert Rangers. General Vargas, just a few days prior, sent Ace out to investigate a strange radio signal that speaks of “man and machine becoming one” while threatening to attack and wipe out the Desert Rangers. Controlling a squad of newly recruited rangers, the player is tasked with finding out who killed Ace and why they did it, and try to complete Ace’s original mission. Wasteland 2 received generally positive reviews from critics. The game holds an aggregate score of 80.70% on GameRankings based on 32 reviews and a score of 81/100 on Metacritic. The game generated a revenue of $1.5 million in its first 4 days of release. In September 2016, Fargo stated that inXile had earned $12 million from sales of the game. Leif Johnson of IGN praised its story writing and branching storyline impacted by the player’s choices. Daniel Starkey of GameSpot lauded its environmental graphics and tactical gameplay. Alasdair Duncan of Destructoid wrote it “delivers exactly what was expected”. Richard Cobbett of Eurogamer stated “it’s very clearly made with love to be true to the original game while still learning from the games that followed.” Daniel Tack of Game Informer called it a “triumphant heir” to the original game and praising its re-playability and audio quality. Cory Banks of PC Gamer praised its combat and writing. It was later given the Game of the Year award for 2014 by PC World.